Eric J. Phillips, Esquire is an attorney with Hladik, Onorato & Federman, LLP. With over twenty (20) years of experience, Eric concentrates his practice in the areas of Condominium and Community Association Law, Construction litigation, Complex Commercial litigation, Insurance litigation, Real Estate, Personal Injury and Labor and Employment Law throughout Pennsylvania and New Jersey. 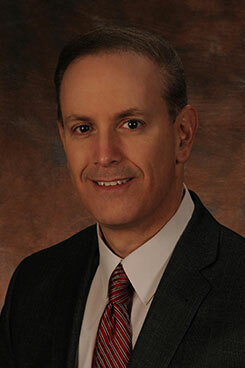 He routinely litigates cases in the surrounding counties and New Jersey and has conducted numerous jury trials. In addition, Eric has successfully argued cases before the Pennsylvania Superior and Commonwealth Courts and appeared before the U.S. Equal Employment Opportunity Commission and the Pennsylvania Human Relations Commission. Eric has extensive experience with condominium and homeowner association issues such as interpreting and amending governing documents, enforcing rules and regulations, assessment and fine collections, budgeting, special assessments and the process of transitioning from developer control. He has extensive experience with claims and issues involving stucco, water intrusion, moisture, construction defects, subcontractor issues, building codes, contract disputes and insurance claims. Eric’s expertise extends into the area of labor and employment law where he has defended businesses of all sizes against claims of employment discrimination and wage payment issues. Eric has previously served as in-house counsel to a national home builder that owned and operated a community management company in Pennsylvania and New Jersey. In this role, Mr. Phillips gained expensive experience in the areas of real estate, construction, zoning, land use and the creation, formation and operation of condominium and homeowners’ associations. In addition, Mr. Phillips provided legal advice and guidance to community managers. Eric was a member of the Montgomery Township Planning Commission from 2006 through 2011 and served as the Solicitor for the Bucks County Area Agency on Aging from 1995 through 2000. Eric recently obtained a construction defect settlement valued at $900,000 on behalf of an age-restricted, mid-rise condominium client located in Delaware County, Pennsylvania. The settlement was reached shortly prior to the scheduled 2 week jury trial. In June of 2015, Eric successfully argued before the Pennsylvania Commonwealth Court which affirmed a $109,000 judgment in favor of a condominium association client located in Philadelphia and against a unit owner resulting from unpaid assessments. In November of 2015, Eric represented a homeowners’ association client during a one week jury trial in Delaware County involving an action brought by a unit owner for specific performance and property damage related to common area drainage issues. Eric received his juris doctor from Temple University School of Law and his undergraduate degree from Temple University. Eric is admitted before the Supreme Court of Pennsylvania and Supreme Court of New Jersey. He is also admitted before the U.S. Eastern, Middle and Western Districts of Pennsylvania, the U.S. Third Circuit Court of Appeals. Eric has 4 children and is a lifelong resident of Bucks/Montgomery County. He enjoys spending time with his family, exercise and fitness and muscle cars. Eric J. Phillips, Esq. article titled “Fiduciary Duty and the Developer” has been published in Community Associations Institute publication. You can view or download the complete PDF version HERE. Eric J. Phillips, Esq. Legal Alert titled “Pennsylvania Appeals Court Rejects Attempt To Recover Assessment Payment Made Under Protest” has been published. You can view a copy of the article HERE.